With the new year it’s time to remind you of our new schedule! 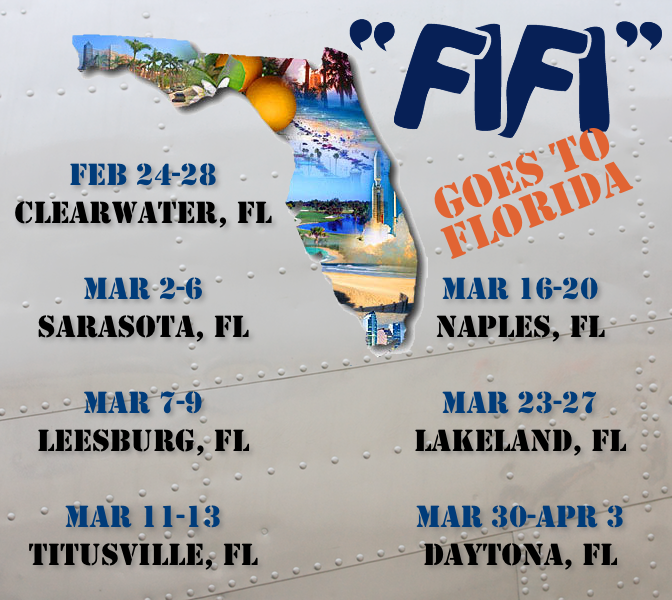 Here’s the lineup once again for our spring Florida tour. We also have quite a few cool aircraft joining us at these stops, including the CAF Gulf Coast Wing’s B-17 Texas Raiders on the Naples, Lakeland and Daytona stops!